Staff members every Illinois nursing home are required to follow procedures and protocols when providing cares to residents suffering from incontinence. Failure to do so has the potential of exposing the patient to harmful contaminants allowing the development of serious infections. Unfortunately, not all nursing homes adequately train their nursing staff or failed to monitor the nurses to ensure they are following infection-eliminating protocols. The elder abuse attorneys at Rosenfeld Injury Lawyers LLC provide legal advice, counsel, and representation to individuals who have been neglected, mistreated and abused at Illinois nursing facilities like Rock River Gardens. As a part of the Peterson Health Care System, Rock River Gardens provides Alzheimer’s care, memory care, skilled nursing care and the Peterson Pathways Rehabilitation Program. Detailed information on each nursing facility in the US can be obtained on state and federal database sites including Medicare.gov. These government-run regulatory agencies routinely update their list of safety concerns, health violations, filed complaints and opened investigations occurring at nursing homes nationwide. “Pull glove over dressing and discard in the plastic or biohazard bag. Wash and dry hands thoroughly. Put on clean gloves. 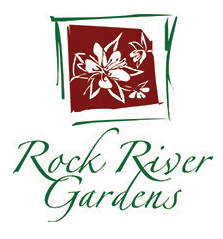 If you suspect your loved one was victimized by caregivers, visitors, or other residents while residing at Rock River Gardens, call Rosenfeld Injury Lawyers LLC today. Let our skilled Sterling attorneys file and handle your financial compensation claim against all those who caused your loved one harm. Our years of experience ensures a successful resolution. We encourage you to contact our Whiteside County area elder abuse law office today by calling (888) 424-5757 to schedule your no-obligation, comprehensive case review. There is no need to make an upfront payment because we accept all nursing home claims for compensation on contingency.